Periodontal diseases or gum diseases are very common. Studies have shown greater than 75% of adults over the age of 35 have some form of this disease. Most people with this disease are not aware that they have it. It has no symptoms until the advanced stages. Periodontal disease is progressive. Despite good home care, if left untreated it can result in bad breath, red and swollen gums, and eventually loss of teeth. It is the most common cause of tooth loss. The most common cause of periodontal disease is bacterial plaque. This sticky substance contains bacteria and adheres to teeth above and beneath the gum line. It cannot be removed by rinsing or swishing liquids. A patient's ability to remove this plaque from underneath the gum is limited. After bacterial plaque has been present for a short period of time it hardens or calcifies and is then only removable by a dental professional. Recent studies have shown a correlation between periodontal disease and diabetes, pulmonary (lung) problems, heart disease and low birth weight babies. Untreated, advanced periodontal disease may affect the ability to control Diabetes. Periodontal diseases result in infection and inflammation of the gums. This includes a number of diseases requiring different approaches. Periodontal means around the tooth. Periodontal diseases affect the structures that support and hold the teeth in. This involves primarily the gum and bone around the teeth. The primary cause of periodontal disease is bacterial plaque. Daily removal of plaque is essential to the successful treatment of periodontal disease. Pocket formation with periodontal disease results in areas from which bacteria cannot be removed by the patient. Periodontal disease is associated with increased incidence of diabetes, heart disease, pulmonary (lung) problems and low birth weight babies. Diabetes can modify and accelerate preexisting periodontal disease. Certain medications such as anti-seizure and antihypertensive medicines can also accelerate the progression of periodontal diseases. Other factors affecting periodontal diseases include: smoking, stress, clenching and grinding of teeth and poor nutrition. Periodontal disease may strike at any age. It is however most common in middle-aged and older adults. Juvenile forms of this disease are thankfully very rare. Scaling and root planing is a non-surgical procedure to remove calcified deposits on roots of teeth. These deposits harbor bacteria and are directly related to the initiation and progression of bone loss and periodontal disease. This procedure is performed under local anesthesia along with conscious I.V. sedation in many instances. 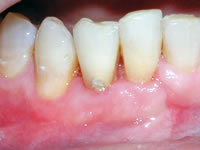 Special instruments called currettes that are designed to be used underneath the gums are utilized for this treatment. Scaling and root planing may be the first step in treatment of moderate and severe disease. In most instances, surgery is necessary following scaling and root planing to prevent progression of periodontal disease, and correct problems that the disease has caused. Root planing usually results in gum soreness for a few days, along with temporary increased sensitivity to cold and sweets. Many times Dr. Hammond will prescribe medications to help control discomfort and decrease the chances of infection following this procedure. Most people do very well with this procedure with minimal interruption to their usual lifestyle. Conscious I.V. sedation is utilized to increase patient comfort, safety and accuracy of procedures performed. Patients are monitored throughout the time that they are sedated. Agents generally used include: Valium, Versed, Demerol and Morphine. No breathing tube is required because patients are not put to sleep. Conscious I.V. sedation produces amnesia, relaxation and disrupts a patient's sense of time. This allows for long appointments where multiple procedures may be accomplished without patient fatigue. Protective reflexes of coughing, swallowing and breathing remain intact. In many instances, oral medications will be prescribed to be taken the night before and the morning of to decrease pre-operative apprehension. Conscious I.V. sedation may be recommended for both surgical and non surgical therapies, depending upon anxiety, complexity of procedure and estimated treatment time. Periodontal disease is progressive regardless of the thoroughness or frequency of brushing and flossing unless pockets are reduced to maintainable depths. 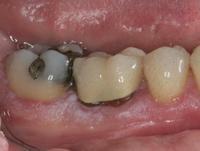 This progression usually proceeds without any symptoms until the tooth loosens and must be removed. If diagnosed and treated surgically at an early stage, the disease progression can be halted and the natural dentition retained. As a result of the bacterial infection, the supporting bone of the teeth is resorbed creating irregularities and pockets. Osseous surgery is performed after access is gained to diseased root surfaces and infection. Incisions are made between the gum and tooth; the tissue is reflected and thorough debridement performed. The irregularities in the supporting bone caused by the disease are recontoured. The gum tissue is then repositioned and secured with dissolving sutures to allow better access to remove bacteria on a daily basis. In many instances, if this procedure was not performed, the periodontal disease would progress and teeth would be lost. Crown lengthening is a surgical procedure to increase the amount of tooth visible above the gum line. Therapeutic crown lengthening is performed to provide access to restore decay or resorption on a tooth that currently extends underneath the gum. This usually necessitates involving at least three teeth in the procedure and removal of at least some supporting bone on these teeth. This may cause localized gum recession and temporary sensitivity. Viable alternatives include orthodontic eruption of the tooth or removal and replacement with an implant. Esthetic crown lengthening is a surgical procedure performed to increase the length of the tooth above the gum, in situations of excessive display of gum tissue. This is primarily an esthetic concern, but can be a result of disease. This procedure is usually performed in most or all of an arch at one time to provide a pleasing esthetic result. The surgical procedure utilizes an incision to separate the gum from the teeth followed by removal of a small amount of supporting bone. Excessive display of gum tissue upon smiling may also be the result of excessive mid-face height or short upper lip. 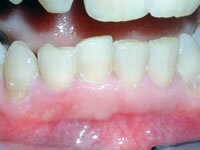 Correction of a gummy smile can have a dramatic and immediate impact on a patient's smile. Gum recession is of concern because of risk of decay, sensitivity and further rapid recession. Gum grafting may be necessary on orthodontic patients to thicken gum tissue and make it more resistant to recession during orthodontic treatment. It may also be necessary to thicken tissues as well as cover exposed roots of tooth for prevention of further recession and esthetic concerns. The primary reason that a patient is at risk for gum recession is thin gum tissue. This is likely an inherited trait and is especially of concern in orthodontic patients. Because of decreased oral hygiene access with orthodontic appliances as well as increased stress with movement of teeth, areas of thin tissue are placed at greater risk for gum recession. In many instances it is necessary to graft the patient's own tissue in these cases to predictably thicken these tissues. These Free Gingival Grafts are very predictable procedures and usually result in a good long-term prognosis. Grafting to thicken tissues as well as cover exposed root surfaces is a relatively new procedure. It may be necessary to utilize the patient's own tissue with some Subepithelial Connective Tissue Grafts to obtain a stable long-term result. Recent advances in this procedure now allow satisfactory results without using the patient's own tissue in some instances. Subepithelial Connective Tissue Grafts utilizing banked tissue allow large areas to be treated in one session and eliminate the need for a second surgical site to obtain donor tissue. Periodontal disease, if left untreated, may progress to the point of destroying the majority of bone on one or more surfaces of a tooth. If certain conditions are met, it may be possible to regenerate all or portions of the lost hard and soft tissue support of a tooth. This surgical procedure may involve exposure of the bony support of a tooth, thorough debridment and placement of bone or other substances around the tooth. The gum tissue is then repositioned and secured with dissolving sutures. The substances that are utilized for this procedure do not ultimately become incorporated into the patient's own tissues. They function to provide certain growth factors to the regeneration of the patient's previously lost tissues and attachments. When successful, this can increase significantly the amount of bone around a tooth, and ultimately the prognosis. Ridge preservation resulting from careful management of tooth extraction may enhance the amount of bone remaining for implants or bridge fabrication. This may involve placement of a bone graft at the time of tooth removal. 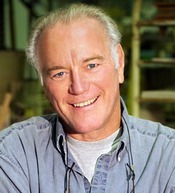 The type of graft may be dependent on whether an implant or bridge is to be placed. Ridge augmentation may be performed after the tooth removal has already taken place. This may involve utilization of the patient's own tissue or banked tissue depending on whether an implant or bridge is planned, and the volume of bone to be replaced. This type of bone grafting may be very predictable, and can greatly enhance the environment for bridge or implant placement. The tissues of the mouth, like skin, cover our bodies protecting underlying structures. It may be injured and show signs of this injury. Any alternation in the appearance of tissues of the mouth should heal within 2-3 weeks. The most serious alteration is oral cancer, but there are also benign lesions that may benefit from diagnosis and treatment. In many instances, a biopsy of the involved area may be necessary to provide an accurate diagnosis. Certain systemic diseases and skin conditions may have oral manifestations resulting in red patches, white patches or ulcers. These include but are not limited to Lichen Planus, Pemphigus and Pemphigoid. Pain may or may not be a cofactor with these disorders. Smoking and use of smokeless tobacco obviously increases the risk of developing more serious problems. This should be diagnosed as soon as possible. Signs to be evaluated in tobacco users include: reddish patches (erythroplakia), whitish patches (leukoplakia), soreness that fails to heal and bleeds easily, lumps or thickening of the skin inside the mouth, chronic sore throat or hoarseness and difficulty in chewing or swallowing. Early diagnosis of both benign and malignant disorders is essential for predictable, successful treatment. We use digital technology when we take x-rays of your mouth, rather than conventional intraoral x-rays you may have had in the past. We prefer using digital x-rays because they are more accurate, quicker and much safer. Instead of x-ray film, digital technology uses sensors that collect data; this data is interpreted by specialized software and formatted clearly on a computer screen. We can quickly and easily see exactly what the health of your mouth and teeth looks like without waiting for film to be developed, with higher resolution. Digital x-rays expose you to much less radiation than conventional x-rays, so they are a much safer option. 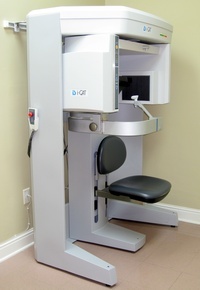 Our practice is one of the few in Alabama to offer in-office Cone Beam CT Scanning capabilities. A CT Scanner is simply a digital imaging technique that allows us to clearly see very specific areas of your mouth, in greater detail than typical x-rays. The CT Scanner gives us images that have incredible contrast so that they’re highly accurate and easily interpreted. It actually shows us a 3-D image of the bone structure in and around your mouth. You’ll rest easy knowing that the radiation exposure is minimal, compared to other types of medical CT scans. If you have teeth missing, we can safely, non-invasively, accurately and immediately determine if you’ll benefit from dental implants; you’ll be hard pressed to find comparable services anywhere else!